Until recently, HSS and HyperSync were considered gimmicky features available on either expensive PocketWizard or cheap Chinese triggers. With Profoto, Elinchrom, Priolite, RiME LITE, and other brands catching up on these techniques, it is slowly becoming more popular. However, are these sync modes as reliable and useful as the brands try to make us believe they are? Moreover, is one better than the other? Why use HSS or HS? freezing movement with the shutter speed and not with the flash duration — no more looking in the user guide what power gives what flash duration. overpowering the sun or shooting with larger apertures in bright daylight — no more fragile ND filters in the camera bag. more freedom when using the flash on location as the x-sync speed is no more a limiting factor. ND filters aren't needed as much anymore when using lenses such as the 85mm f/1.2 wide open with flash. f/1.2, 1/2000s, ISO 50. Having had the chance to own a Profoto B1 (HSS) for about a year and now an Elinchrom ELB400 (Hi-Sync) for a couple of months, I could not see myself going back to a more traditional system for shooting on location. 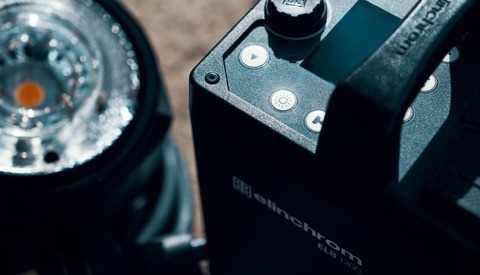 When I wrote my Elinchrom Skyport HS review, I talked about Hi-Sync and some of it uses. However, since then, I have noticed that many mixed up HSS and HS. Both allow you to sync a flash at shutter speeds of up to 1/8000s. However, both are very different in the way they work. They have advantages and drawbacks. My aim with this article is to share with you my experience with both systems and help you decide which one is right for you. What Is the Difference Between HSS and HS? I am not going to go into details on how the sync is achieved; Elinchrom did that very well on their website with clear graphical explanations. However, a quick explanation will probably help you understand the rest of this article. HSS is found on most hot-shoe flashes that work in TTL mode. The way the system works is by pulsing a burst of very short flashes while the shutter is open. So, in theory, this means you must have a flash that has a short flash duration and that you are most likely to lose power for the flash to charge quickly enough to keep up. HSS is what is found on Profoto’s B1, as well as when it is used in conjunction with the Air TTL remote. HS, on the other hand, works in a very different manner. First, there was HyperSync that became quite known thanks to PocketWizard. It is a precise sync between the flash and the camera’s shutter to get a part of the flash curve. HyperSync is all great, but costs quite a bit of money to get the required triggers and receivers from PocketWizard. Then, this year, Elinchrom came along with Hi-Sync. It works very much like HyperSync, but it has something more: ODS (Over Drive Sync). With HyperSync, the flash is fired slightly before the camera shutter opens to get a good part of the flash curve. The problem is, you cannot choose when it fires, and that can be limiting. With ODS, you can adjust that setting and thus maximize the power you can get out of the flash unit, as well as correct the possible gradation seen when using HyperSync. You can see examples of this gradation issue in Dylan Patrick’s article. Because Hi-Sync is much better than HyperSync, it has changed the game since Dylan’s article was published. So, I wanted to compare both Profoto HSS with a B1 and a B2 against the Elinchrom Hi-Sync using an ELB400 with a Pro head. I remember using HSS quite a few times when I had my Profoto B1. However, I remember how shocked I was by the loss of power and how little I could adjust my settings. When using HSS on a B1 or B2 unit, one can simply not choose a lower power setting than 7.0 (on a scale of 10), 8.0 if you are shooting with a Nikon. However, because the loss of power is so great, you would not want to go any lower anyway. When I got my Elinchrom ELB400 and my Skyport HS, I tried the same thing, using it at minimum, medium, and maximum power. Everything worked. Some power settings were better than others, but still, I had the possibility to adjust the power however I wanted to. But the thing is, like you may know, flash duration varies with power. So, depending on the head I was using on my ELB400, some settings simply didn’t work well at all. This is where the Elinchrom HS head comes into play. A head that has a long flash duration helps maximize the results when using Hi-Sync. The curve of the flash is more flat and has less of a peak at the start and thus, there is less gradation and less power loss. I first wanted to see if the sync mode itself resulted in a loss of power or not. Because HSS works by pulsing the light, I knew I’d have a noticeable loss of power. With Hi-Sync, there should be no difference whatsoever as Hi-Sync doesn’t affect the way the flash is fired. So, if I set my camera at 1/200s, I should see a difference when HSS is enabled, but no change when Hi-Sync is used. And that’s exactly what happened. As you can see, there is an apparent loss of power with HSS activated. 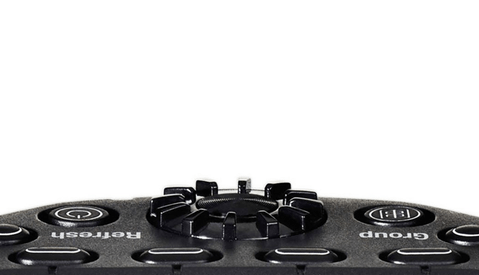 Between the regular sync mode and HSS, there is about a two-stop difference. However, that is not all, as the two shots made with the B2 at low power (7.0) are very different. This is because I set the B2 in freeze mode for this test. I wanted to see if that would change anything. Turns out it changes a lot! When I used the B2 in normal mode, the results were much closer to the B1 for both power loss and color shifting. It seems that freeze mode and HSS do not mix well at all, as there is about a six-stop difference between the two shots (settings were changed to get something different than a full black picture)! The freeze mode makes the flash duration 1/19,000s long. So, I guess this is just too short to keep the impression of continuous light for the sensor. Regarding the color temperature, I’ll come back to it in a bit. Then, I wanted to compare all three units, all in normal recycling mode, and see if the power loss was the same for each system when the shutter speed is changed on the camera. For this test, I put all units on full power and used a light meter to get a measure that would give me a pure white background using 1/200s (no HS or HSS) and ISO 100. We can already see that the output of the ELB is more efficient than that of the B1 by about 1/3 of a stop despite the B1 being rated at 500Ws vs. 424Ws for the Elinchrom. The B2 is one stop under the ELB400, but rated at 250Ws. Two things became apparent to me with this test. The Hi-Sync technology is better in term of power efficiency. On the other hand, HSS is easier to setup: no ODS to fine tune and no need to understand flash duration and pick up the best head for the job. HSS also yields a more uniform light, and there's no gradation whatsoever, no matter what the settings are. However, and this is an important note, I used a Pro head on my ELB400. If I had an HS head, the gradation would have been less noticeable and the power loss less significant, despite the fact that I adjusted the ODS setting. 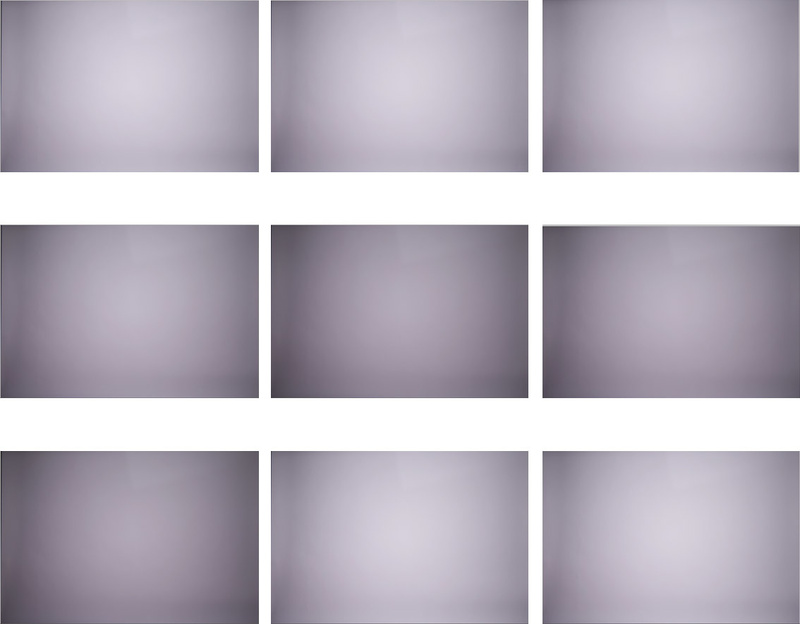 Using a Nikon camera, the Elinchrom results would also have shown a less visible gradation. Both files are unprocessed raw files. Left: Elinchrom ELB with Pro head in Hi-Sync. Right: Profoto B2 in HSS. The white balance was fixed in camera at 5450K; so no, I was not in auto white balance mode on my camera. Also, all the settings were pretty much the same (studio, model, lighting setup, etc.). Nothing major changed between the two pictures that could affect the color this much. 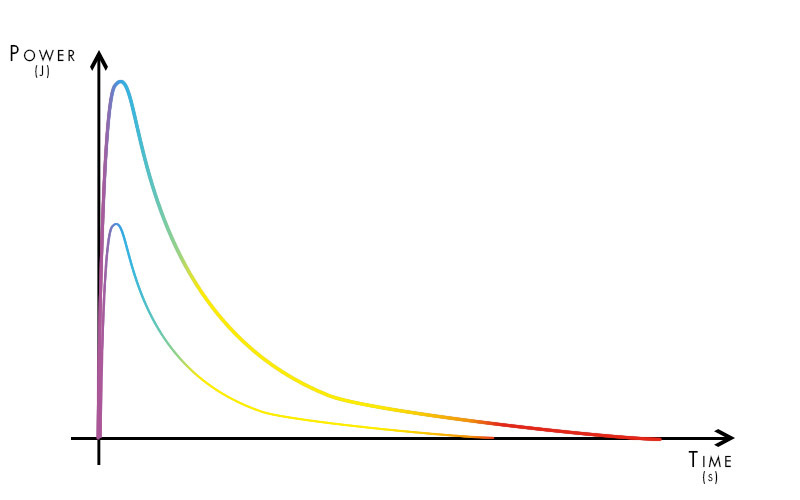 In normal sync mode (x-sync), the sensor get exposed to the full flash curve, giving us an average color close to 5500K. If we look at the shots made using HSS in our previous tests, we can see a very slight purple shift. With the above diagram in mind, it seems to be because the sensor is mostly exposed to the first part of the curve, which is mainly in the purple to blue end of the color spectrum. Regarding the blue tone produced by the B2 in freeze mode, it could be explained in two ways: either because the violet/indigo phase of the curve is so short that the average color is bluer, or because the flash duration is so short that the average color has more green and thus, gives us a more blueish than violet color. However, this is just a wild guess. If Profoto's engineers read this, I’d love for them to comment below and explain why the freeze mode works so poorly with HSS. From my understanding, the way Elinchrom Hi-Sync works tends to get more of the warmer part of the flash curve by cutting off the first part and the last. But that is only when using heads and strobes that aren't optimized for Hi-Sync. This color shifting problem doesn't exist with the HS head for example, or at least I didn't notice it. But then, it gets more complicated with Hi-Sync. We get that warmer part of the curve like with HyperSync, but if we adjust the ODS setting, we can then change the part of the curve that our sensor is going to see. This means if you change the ODS setting, not only will you diminish the strength of the gradation, but also you are most likely going to see a difference in color temperature. From my tests, I noticed that the less visible the gradation was, the better the color temperature I could get, meaning ODS maximizes both the power output as well as the color balance. Furthermore, with Hi-Sync, if you have a Nikon, the sync tends to be better right away. The ODS setting requires less tweaking; thus, the color shift also seems to be less apparent. As far as color temperature goes, I would personally place the Hi-Sync from Elinchrom ahead if used in conjunction with an HS head, but only with that condition. 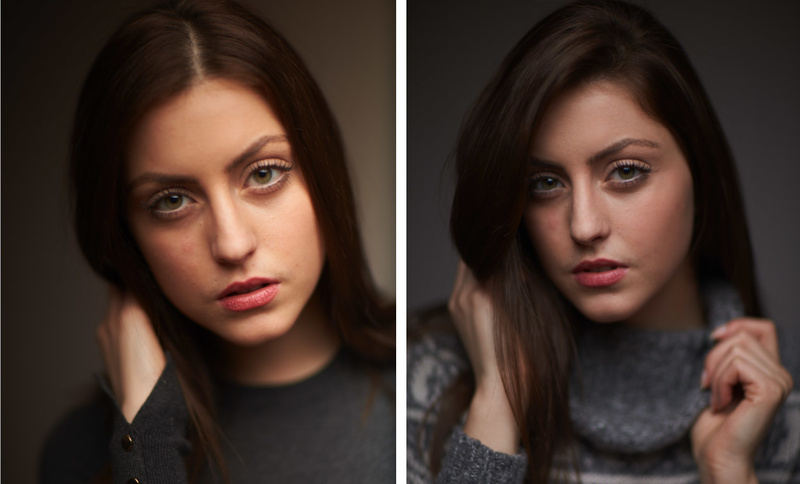 Otherwise, Profoto HSS seems to be more stable in this regard as you can deduce from the comparison above. I believe the color shifting could become a problem if you work on still life or commercial photo shoots, where a precise color temperature is often required. Otherwise, for things like portraits, I do not think it would be a real problem, unless you are using Hi-Sync with a poorly adjusted ODS or HSS with freeze mode. Another thing I wanted to test was the power consistency from shot to shot. For each strobe, I did a burst of 20 images twice, both times leaving a little over two seconds between each shot. Elinchrom announced a 1.6 s recycling time at full power; Profoto, on the other hand, reckons its B1 needs 1.9 s, while and the B2 is rated at 1.35 s.
Because of the way Hi-Sync (or HyperSync) is designed, the consistency from shot to shot is the same as when using the strobe in normal sync mode at the x-sync speed. When it comes down to HSS, it is another story. Profoto is known for its very consistent units in term of power and color temperature. However, HSS changes the game. When announcing HSS on the B1, Profoto said it was finally a consistent, fast, and powerful high-speed sync system they had developed, unlike other manufacturers. No flash meter was needed to see that what they said might be correct with the B1, but not so much with the B2 (which was not in freeze mode anymore for the following images). Elinchrom ELB 400 in Hi-Sync. I do not think there is a clear winner here. The output power from shot to shot with Hi-Sync is as consistent as in normal sync mode. So, if your flash produces a consistent power, you should not see any difference. With HSS, it seems to be the same thing. The Profoto B1 did great. I thought it would fail badly at this test because of the way HSS works, but it did not. The B2, on the other hand, failed miserably! So, I would not say HSS does not provide a consistent output because the B1 proves otherwise. However, the B2, when used in conjunction with HSS, gives a quite variable output. Just like power outputs, this is where Hi-Sync shines. Because Hi-Sync does not change the way the flash works, but just the way the flash is synced, the power used by the flash head does not change. So, the battery usage remains exactly the same in Hi-Sync or regular sync mode. With HSS, it is another story. Because it creates a burst of short flashes, it tends to drain the battery quite quickly. I cannot give you precise numbers here, as this would be complicated to test within just a couple of days (the time I had the B1 and B2). However, from my experience using a B1 for a year, the battery charge would last less when HSS is used. The HSS is easy to set up: one press of a button and you are good to go. Once it is activated, the power setting on the strobe cannot be moved lower than 7.0 (8.0 with Nikon). So, you can only use settings that work with HSS, limiting some consistency problems. Elinchrom Hi-Sync is quite easy to set up as well. Turn it on and then, if needed, you can adjust the ODS. So, if you are used to PocketWizard HyperSync, this is way easier to setup. 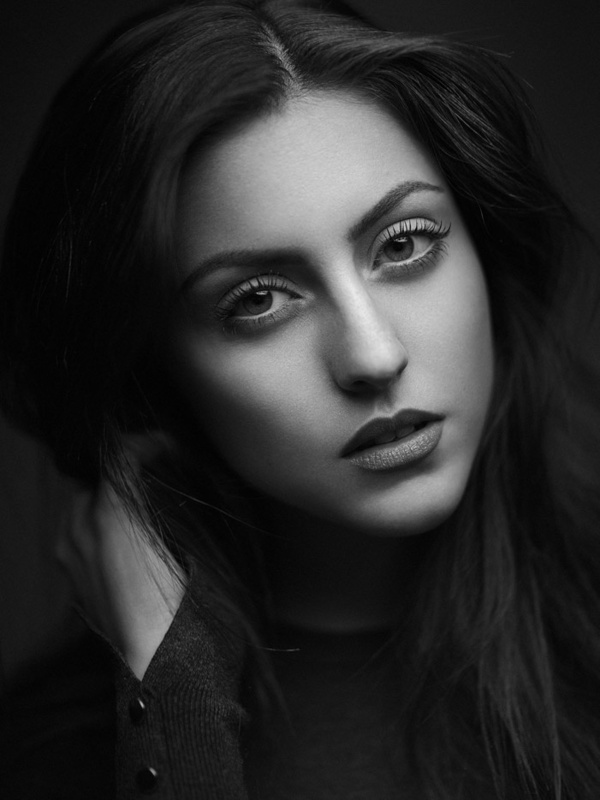 However, I believe the Profoto HSS is a more seamless experience. You do not have to worry about ODS being left set up from a previous shoot or having to readjust the ODS settings if you change the power. One thing that seems to make the Hi-Sync system a lot more complicated in people’s heads is that it works with almost all Elinchrom’s units, but within certain limits. Not all units can be synced at 1/8000s. For some, it might be 1/600s or for others, 1/1000s. It comes down mostly to flash duration. Once you understand how Hi-Sync works, it makes using it much easier, and you can get the most of your Elinchrom units. The main problem I see with Hi-Sync is that if people don’t understand how it works, they might buy an ELB400 pack along with an HS head, but then be disappointed to see that their expensive kit cannot freeze action if a short enough shutter speed is used on the camera. See, the HS head has a 1/600s flash duration, which is alright for portrait work, still lifes and other subjects that don’t move much or too fast. But if you shoot fashion or action, this might become an issue. So, it is important to understand the difference between flash duration and shutter speed, as well as how they work together for Hi-Sync. Profoto, on the other hand, kept things very simple. HSS is available to the newest units only. Because it requires a TTL trigger and receiver, it does not work with any other unit than the B1 and B2. So, the choice is straightforward. As far as simplicity goes, I think both systems are on the same level or very close. Profoto’s HSS might be easy to setup and a more seamless experience, but Elinchrom Hi-Sync does not require you to buy new gear apart from a Skyport HS. Which system for what photographer? In the end, I just think both systems and sync modes are excellent. They are just aimed at different photographers. Profoto created something very easy to use and quite reliable with its HSS. It is an excellent option, but I would not buy either the B1 or the B2 for that alone. HSS engenders just too great of a loss power to be useful, especially outdoors and even more so with the B2. It surely is consistent – at least the B1 is – as far as the output goes. Color-wise, as you noticed, it shifts a bit when HSS is activated, but it remains within very acceptable limits. For portraits, I think HSS is slightly better if you do not need to put your flash more than a couple of feet away from your subject or overpower the sun. Shot in studio with a Profoto B1 in HSS mode. f/2, 1/8000s, ISO 100. When launching the Skyport HS, Elinchrom said that it was a first step towards a line of Hi-Sync products. Their Hi-Sync system is promising; I just think that currently it lacks fully compatible units. The HS head is great, but isn’t perfect for an all-around use and there are no professional studio units that fully work with Hi-Sync, apart from the very old packs. As far as power goes, Hi-Sync retains more power than HSS, making it great if you count on using it outdoors. Regarding the color-shifting issue, I think it was more visible than with the B1 and B2. However, if using a head that is fully compatible, such as the HS head, the color temperature issue is non-existent. The Elinchrom Hi-Sync system seems more appealing for action and sport photographers, or those that need to overpower the sun, but don't have the luxury of having an assistant to lug around an heavy 1000Ws pack such as the Ranger RX. So, is one better than the other? I’ll let you be the judge, because it comes down to your use and how you work. Personally, I do not regret selling my B1 for an ELB400, as the power for outdoor use was most critical. Now, would I use any of these sync modes on a commercial shoot? Most likely not. They still have some issues that make me afraid of using either one for any gig that is somewhat important. For example, the gradation seen with Hi-Sync, despite being easy to correct in post, just makes my pictures look bad in front of my client if I cannot shoot tethered. With HSS, I just couldn't see any use outdoors, except for close portraits or fill light. The loss of power is just too important. A final problem I have with systems such as HyperSync, HSS, Hi-Sync, HotSync, and the likes is they use TTL to communicate with the camera or with the flash unit, meaning each remote works only with one brand of camera. I might be dreaming here, but it’d be great if something such as TTL could be standardized so that one remote could work with any camera brand. If you switch from Nikon to Canon, you'll have to change your remote, or if you shoot with different camera brands, you'll have to own one remote per brand! The Swedish and the Swiss flash manufacturers did an incredible job with the implementation of HSS and Hi-Sync. In my opinion, both sync modes are great tools, but they don’t entirely solve the limitation of x-sync speed. They remain a compromise. Either the power, the consistency, or the ease of use has to be sacrificed to go over 1/200s or whatever x-sync your camera has. I’m sure we will see both systems evolve in the future and become more reliable. If Elinchrom started to offer packs and strobes that can have their flash duration adjusted like Broncolor’s, their Hi-Sync system could very well become close to perfect! There would be no need anymore for two or three different heads to do the same thing. If Profoto can figure out a way to squeeze 2000 Ws in their strobes or to lessen the loss of power when using HSS, it could also be close to perfection. HSS would then become truly useful, no matter the lighting condition. However, I just wish camera manufacturers could finally wake up and overcome the x-sync limitation. Whether they come up with leaf shutter lenses or electronic shutters does not matter. However, solutions are out there; they just keep doing things as if we were working with old film DSLRs. Sony is starting to change that, but while their A7 cameras do not have a mirror, they still limit the sync speed to 1/250s! Let's hope this can change in the future. However, seeing that manufacturers are slowly but surely starting to evolve towards more technologically advanced products is really exciting! What do you think about the trend of HSS and HS? Have you tried it? Do you think it is the future of flash photography or just another tool to play with? Which one of these systems do you like most and why? Yes! Or at the very least some leaf shutter lenses. Sony should have the easiest time doing this since their mount is very new, all electric, and doesn't depend on mirror slap timing. Great review you did there! I am still looking for information though on if these systems are available for Fujifilm cameras also, or just for the Canikon ones...? Thing is, it works using TTL like I said. For HSS (Profoto) it must trigger the flash in TTL to get that impression of continuous light. For Hi-Sync or HyperSync it must communicate with the camera body using TTL. So the problem is, manufacturers must reverse engineer (or pay an expensive licence) for each camera brand on the market. Currently, Profoto supports Canon and Nikon. Elinchrom Canon and Nikon, but they are working on a Sony solution as well as one for Olympus and Panasonic. Then there is Priolite who's got something for Canon, Nikon and Pentax (they also have something for Sony I believe). Quentin, thanks for the great article! Well before HyperSync became available from Pocket Wizard or flash manufacturers I was using Pocket Wizard MultiMAX units to achieve the same result by adding a delay to the flash receiver unit so I could sync it up with the shutter. And the best part was I could adjust it in either direction. The only drawback was that I had to use a Pocket Wizard to trigger my camera. A long time ago when I used to post about such things I wrote a blog post about it, you can find it here http://ianhylands.com/wordpress/2009/high-speed-sync-with-the-pocket-wiz... if you're interested. I'm now starting to shoot more with the Sony A7Rii and testing this out with that camera is on my list of priorities. I'll let you know if and how it works as soon as I get it done. It should also be question to Fuji. Unless you set your shutter slower than x-speed any trigger won't even fire. I just got the Skyport HS last week to pair with my Quadra packs. The main issue I found with Hi Sync is that it is not easy to make on the fly exposure changes while shooting. Every change to shutter speed, flash power, and surprisingly even aperture called to totally recalibrate with ODS. 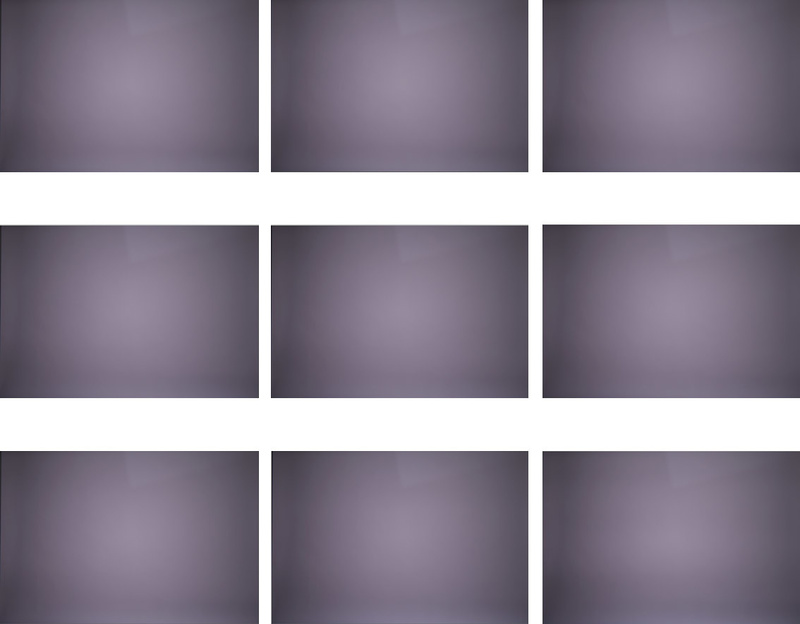 It was also a bit frustrating at how much gradation there is at low flash power. I mean, it makes sense as the flash duration is shorter at lower power, but it would be nice to get full HS performance even at low power. I am very pleased to see flash companies pushing for HS and HSS technology as overcoming X-sync has been a nightmare, but I feel that leaf shutters or other in camera solutions with give the best and most reliable results. The ODS setting also depends very much on your camera body. I've been shown results from synchronisation made with Nikon's cameras and it's much better than with a Canon… wondering how Sony will perform. But shooting with a Canon I feel a bit the same way as you do. It works, but I wouldn't really use it in front of a client for portrait or commercial work. 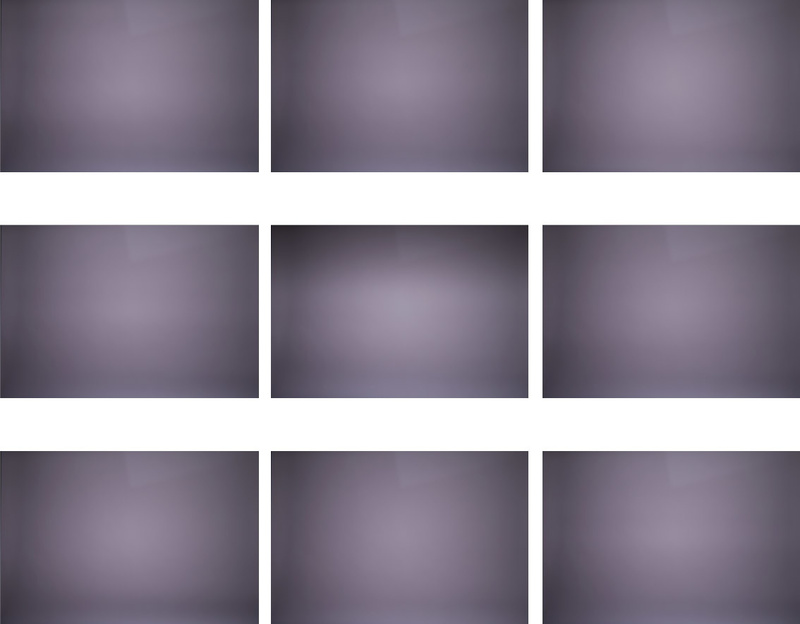 Trying to figure out the ODS by popping 5-6 flashes in a row makes you look like you have no clue what you're doing… not what a client want to see. Only exception would be if I had HS heads only. But in my opinion the Pro heads remain the best compromise. Yeah, definitely not a good look trying to fuss around with it in front of a client. That said, I am still quite happy with all the other features the new Skyport offers, though it'd be great if it could control power on my older Style RX heads. This is a great write-up on the nitty-gritty of these units. I feel like we'll be compromising for a while to come. However, I wonder if there is a market for a monolight/strobe that has a longer than normal flash duration for normal use(fine for most things but action) but will allow Hyper-Sync/Hi-Sync to be done consistently and easily with a longer possibly flatter flash curve. Really great article. But Lars global shutters now have no flash sync at all. A global shutter with flash sync would be great, not sure how that would work. As long as camera and flash manufacturers won't work together there'll be this kind of issue. Thing is now flash manufacturers go the HyperSync/Hi-Sync way with slow flash duration. But if cameras manufacturers finally decide to make cameras of this century with a global shutters, we are screwed and they'll require a short flash duration to work properly. Hence my idea of having packs and heads that can do both. The advantage I see in leaf and global shutters is that you freeze motion with your flash as they must have a very short flash duration to work, but have more control on your camera as far as exposure goes as your shutter setting isn't limited to 1/250s and slower. I believe global shutters are more interesting, as leaf shutter lenses cost quite a lot and remains fragile. BTW: The new Skyport Plus HS will also sync leaf shutters up to 1/1000th sec which puts it in rare company. With the HS flash head for the ELB400 there is almost no gradation to speak of. When using Hi-Sync, I think the best solution, and the best image quality, is achieved using the HS flash heads as was shown in the Elinchrom articles I wrote on their blog, one of which is linked to in this article. As for using the Hi-Sync on an assignment, with my Nikons there is no variation from one power setting to another and I never use the ODS. Hypersync and Hi-Sync seem to work a thousand times better with Nikons than they do with Canon systems. From what I understand, it has to do with how the shutter mechanism works. I have found the ELB400 with the HS flash heads to be a dream - as can be seen in many of the marketing images I shot for the system that were shot at 1/8000th sec. It has revolutionized what is possible, not just for us action sports photographers, but also for portraits where you still need to overpower the sun with a huge modifier and a lot of diffusion with only 400 Ws. P.S. - Cool to see that the ELB400 is very eficient in terms of Light output. Thanks for all the testing Quentin! Hey Michael! Thanks for the comment :) Fully agree with you regarding the HS head working much better. Buying two heads is an option, probably the best for action and sport photographers I think. But the Pro head is the best compromise for people who don't want to have a couple of heads in their bag, like me (hence the choice of a Pro head for my review). The B1 has a somewhat long flash duration at full power, making it useless for action and sport photographers and it's true. This is where Elinchrom always had the advantage for action and sport, because their shortest flash duration was at (or close to) max power, unlike most of its competitors. Hearing (and seeing) how the Nikon can get better sync results makes me rethink my camera system… It's a shame to have such a difference between the two brands. In any case, to me (and for my use) Hi-Sync has proven to be better even with a Canon and a Pro head. Neither Hi-Sync or HSS are perfect, but the loss of power encountered with HSS makes it very limited, especially with low power units such as the B1 or B2. Then I guess the choice of a B1 or an ELB400 for some photographers is also a choice being attached to one system or another. I hope for Profoto users that the Swedish engineers have made the same comparison as I did and saw that perhaps HSS is not the way to go for most photographers. I'm looking for a universal flash trigger that will work with almost all wireless speed-light units. 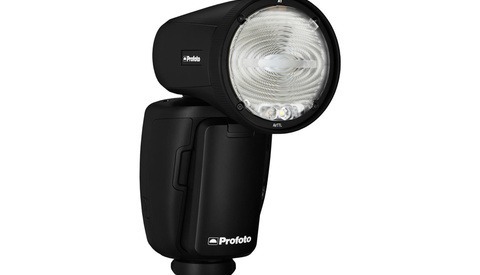 The phottix Odin works with speedlights, including TTL and HSS. There are hardly any speedlights available with a built in wireless receiver that I know of? Sorry, my perspective is mostly around Nikon/Canon. Phottix supports these two and their own flashes, with TTL and HSS. It might be a firmware thing, but the Profoto B2 does *not* suffer from the same 7.0/8.0 HSS limitation.